Monarchs butterflies have experienced significant population declines over the past two decades and our research suggests this decline is primarily the result of habitat loss on the breeding grounds. Ongoing research is focused on understanding the year-round population dynamics of this species to guide the development of effective conservation strategies across the annual cycle. To do so, we are are using laboratory and field experiments to estimate vital rates, developing a host of population models that link habitat availability, density-independent and density-dependent vital rates, weather and climate change, disease and migratory connectivity across Canada, USA and Mexico. Population models with these attributes allow us to consider habitat loss and restoration, climate change and stochastic weather events to make optimal investment strategies at local to continental scales to conserve this iconic species. Flockhart, DTT, J-B Pichancourt, DR Norris & TG Martin. 2015. Breeding-season habitat loss drives population declines of migratory monarch butterflies. Journal of Animal Ecology 84:155-165. Flockhart, DTT, TG Martin & DR Norris. 2012. 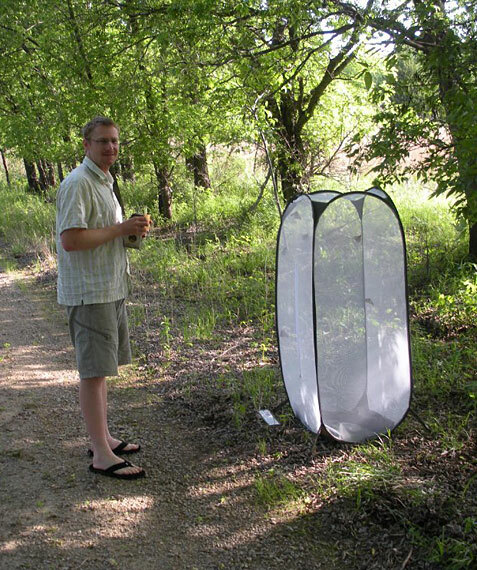 Experimental examination of intraspecific density-dependent competition during the breeding period in Monarch butterflies (Danaus plexippus). PLoS ONE 7(9):e45080. 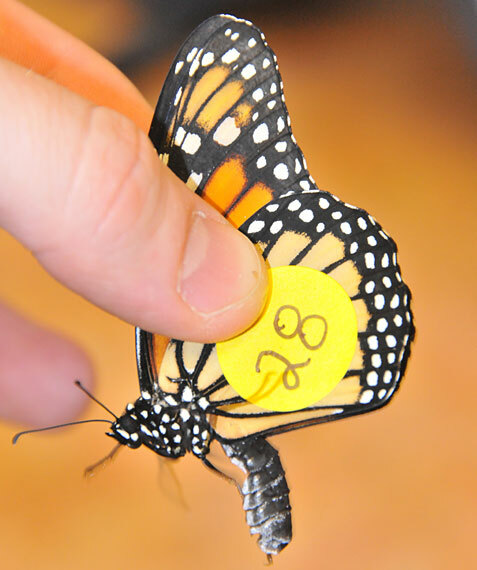 Monarchs are amenable to study in the laboratory where we can measure their longevity and reproductive output. A monarch on a common milkweed plant in central Illinois during the breeding season. 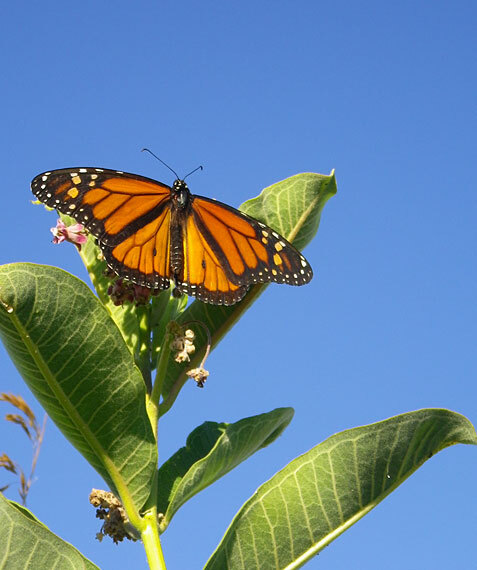 Milkweed, the sole host plant for monarchs, have been removed from agricultural fields across much of the Midwest USA and southern Canada which is the most important geographic regions for monarchs that migrate to Mexico each fall. 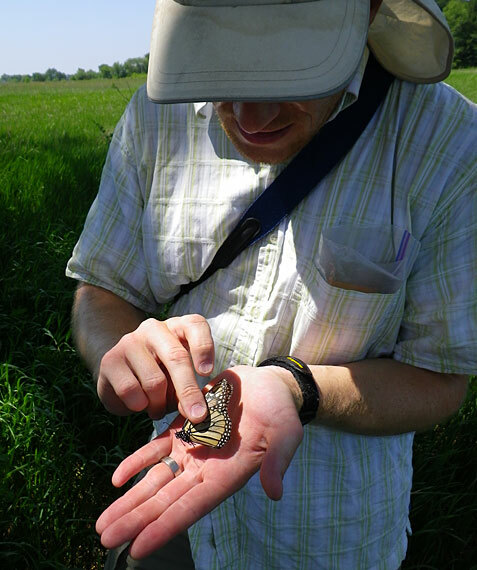 Conducting field experiments on monarchs provides the ability to understand their behaviour, reproductive output and longevity in monarch butterflies during migration.